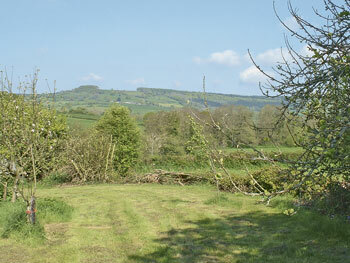 This three bedroom farm lodge is located in the Yarty Valley in the magnificent Blackdown Hills. The cottage offers a peaceful setting in the countryside, which provides many picturesque walks, with much wildlife and bird-watching possibilities. Season and water levels permitting, there is fishing on the River Yarty, and sailing, golf, and riding are found locally. Nearby resorts include Sidmouth, with its soaring cliffs and Regency architecture, Beer (a fishing village of smuggling notoriety) and Lyme Regis, home to quaint shops and The Cobb breakwater. Shop 2 miles, pub serving food 1 mile. 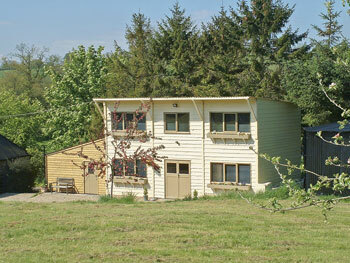 The accommodation consists of a well equipped kitchen with dining area, a very comfortable lounge with double sofa bed. The bathroom features a bath with shower overhead and WC. On the first floor you will find a pretty double bedroom with a 5 foot bed. The second and third bedrooms both have 2 single beds.